Note: Please help us update this directory. If you know of any CSA programs we missed, please contact Ariele at arielejohannson@gmail.com or editor@eastcountymagazine.org. Farmers: Please send in any changes and visit our blog to connect with other farmers to help create a self-sufficient East County. January 26, 2012 (San Diego’s East County)--Eating healthy means including plenty of fresh foods-- and the freshest of all are those grown here in East County. Have you thought about allotting part of your food budget to locally-grown organic fruits, vegetables, milk, meats, and more? April 18, 2012 (Poway) – A woman who was sexually assaulted while walking in Poway shortly after 10 p.m. Monday night managed to kick her assailant and break free. According to the San Diego Sheriff’s Department, the victim was walking on Vaughan Road near Pomerado Road when a man grabbed her and put a knife to her throat. February 4, 2012 (San Diego) - San Diego Police Department patrol officers from Southeastern Division have arrested a 16-year-old boy for pointing a laser at the police helicopter, ABLE. Such actions can put a pilot’s light in danger, since night vision goggles amplify light 30,000 times and the flash can be blinding. January 31, 2012 (Sacramento) -- The Department of Community Services and Development (CSD) today announced California has weatherized 43,530 low-income homes three months ahead of schedule under the American Recovery and Reinvestment Act (ARRA) Weatherization Assistance Program (WAP). This surpasses California’s original goal of weatherizing 43,150 homes by the end of March 2012. January 31, 2012 (Alpine) -- On Saturday, March 25, 2012 the communities of Alpine and Mt. Empire will host one of their traditions, the Miss Alpine, Miss Mt. Empire, and Miss East County Scholarship Pageants. The organizers are seeking young women ages 6-24 to participate in the pageants that have been a mentoring program for them. The pageants are produced by the Associated Pageants of Alpine/Mt. Empire and focus on community service. There is no swimsuit competition, and no entry fee to participate, only a sponsorship fee. Update January 31, 2012 - The Medical Examiner has identified the victim as Gordon Woodard, 41, of Santee. January 30, 2012 (El Cajon) -- The City of El Cajon Teen Coalition would like to recognize youth for making a difference in our community. If you see, hear, or know of a youth who has gone the extra mile to improve the quality of life in our community, please take this opportunity to acknowledge and reward that effort. January 29, 2012, (La Mesa) -- The Grossmont College Theatre Arts Department kicks off 2012 with its production "Inside The Actor's Process: Readers Theatre - The Theatre of the Imagination." In this unique form of oral storytelling, space and time can stretch to create fantastic worlds and marvelous journeys that soar through the imagination. January 28, 2012 (Lemon Grove) – A man who was asked to leave Dirk’s Nightclub in Lemon Grove shortly before closing time at 2 a.m. returned with a semi-automatic rifle and opened fire, ECM news partner 10 News reports. The shooter and a friend are believed to have fled in a dark pick-up truck. January 28, 2012 (San Diego) 4:40 p.m.– A collision involving 10 vehicles on eastbound I-8 at the junction with southbound 163 is causing traffic delays, Incident Page Network reports. CHP is on the scene and multiple injuries are reported, with three ambulances requested. One vehicle reportedly dropped a sofa, according to the CHP website. 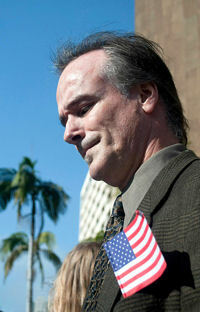 January 28, 2012 (San Diego)--A federal grand jury in San Diego has handed up 17 indictments and the U.S. Attorney’s Office for the Southern District of California has filed eight criminal complaints charging a total of 119 defendants with federal racketeering conspiracy, drug trafficking violations, and federal firearm offenses, announced U.S. Attorney for the Southern District of California Laura E. Duffy. Another 14 suspects remain at large. The FBI has released photos, which can be viewed here.